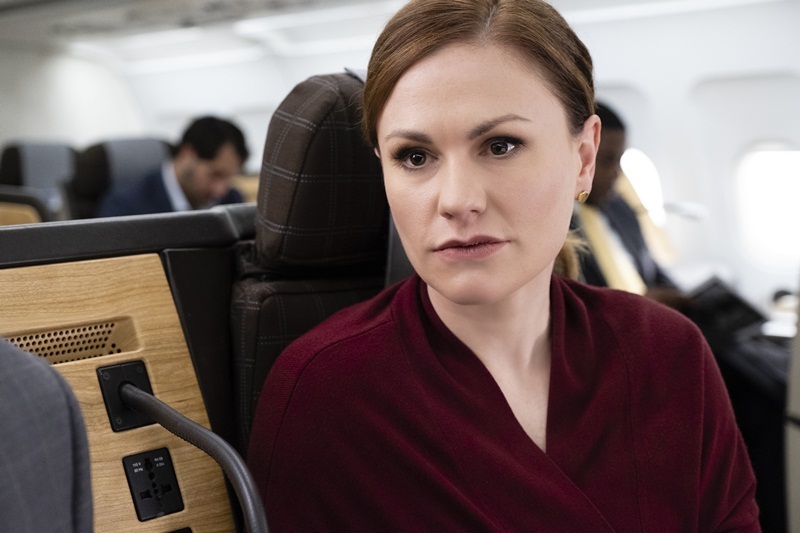 In the latest episode of 'Flack' starring Anna Paquin (Robyn), we finally saw the intensity and passion that was missing from the first four episodes and that is in part due to Brad Whitford's role as Calvin Cooper, an actor who used to rule the industry back in the day. He is now, however, an old man whose fans are mostly women in their 40s. There is a toxic masculinity in him that has him say things like "I am a very important person, who knows other important people" just to get a swig of a drink before the flight takes off. Robyn, who is accompanying him on this trip, tries to explain that this is not acceptable behavior and that doesn't help. He just continues to be a pain and tries to push the wrong buttons, metaphorically speaking, to elicit a reaction from Robyn. This interaction, between Robyn and her client, tells us more about Robyn in five minutes than we learnt in the last four episodes. Why she chose to be in the field, what pushed her to leave Philadelphia, which is where she was born and how she met Caroline? It is revealed in the course of a conversation and similarly, Calvin, the actor, recalls how he made a spot for himself in the industry. It is a revelation to see Robyn speak of herself in such detail because we haven't seen her face her past. She is usually running away from personal difficulties and this conversation is a refreshing and much-needed change, heading towards the finale of the show. With just one episode left in the season, it was necessary to make Robyn a substantial character with flaws that speak to you and are not merely present on the surface, which is how it seemed all along. Calvin's scandal hits when the two are on the flight and about to take off. He receives a text message about how he is required to be present for an enquiry by the cops and Robyn digs out that his maid, who had tried to clean his computer while he was not home, dropped it, and to compensate; she tried to get it fixed at a hardware store. The contents inside are, however, enough to make Calvin lose everything he has managed to build so far. Robyn, of course, comes up with a spectacular idea, but here's the thing; she continues to run away from the mess she has left behind in terms of her family. What happened between Ruth (Genevieve Angelson), Ruth's husband Mark (Rufus Jones) and herself is not something she wants to clear up, but she does want her sister to start talking to her again. When Sam texts her instead of her sister, she runs away from that too. We are not sure if she is tired of all the running, but we are after watching her go through the hoops. She also meets a friend from her days in Philadelphia, but now, she is not who she was and it shocks Robyn to realize how different her life has gotten, and how out of hand. 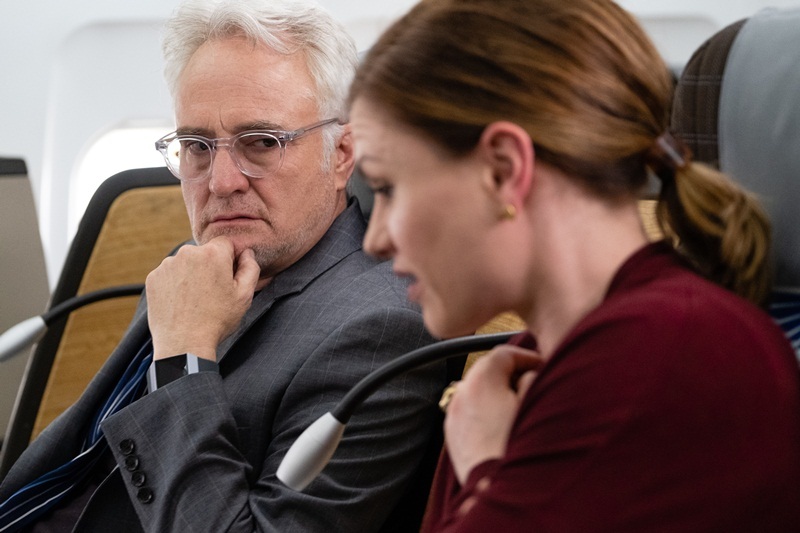 Between dealing with a crazy actor whose confiscated content could land him in jail, to coming face to face with how much she has changed as a person, it is not long before Robyn breaks down, gives in and makes a call that goes against every grain of her as a crisis manager, and we say, finally!